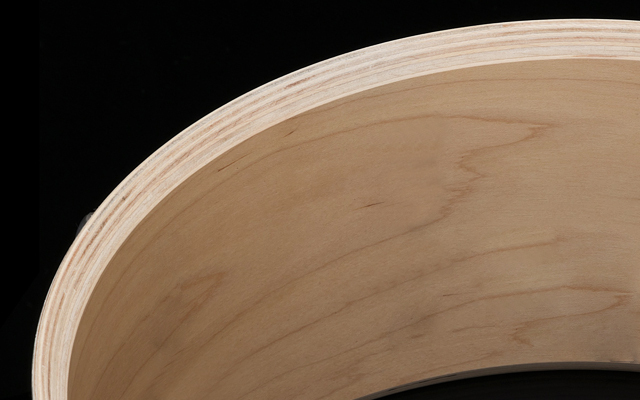 The 6”x 14” G-Maple snare drum is built on the foundation of a thicker 11mm, 13ply Maple shell that gives it a bright sound, but with a surprising volume and sensitivity. 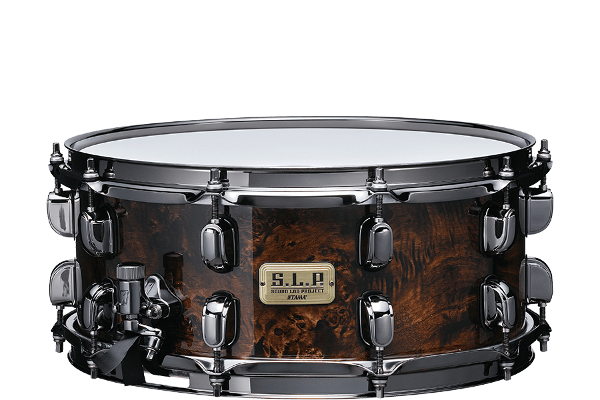 Its 2.3mm flanged hoops and separate low-mass lugs enable the shell to resonate naturally, and enhance its punchy sound. 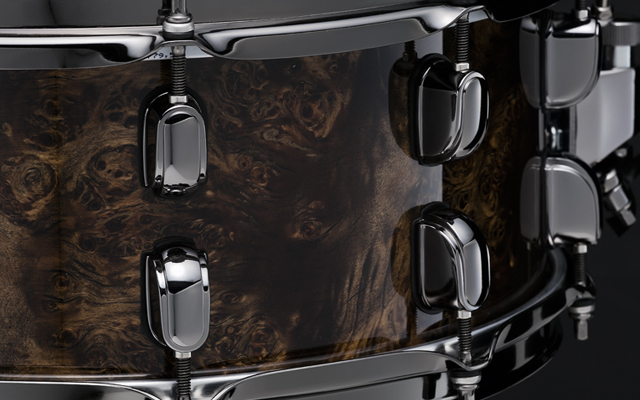 The beautiful Mappa Burl outer ply gives it an impressive and attractive look. 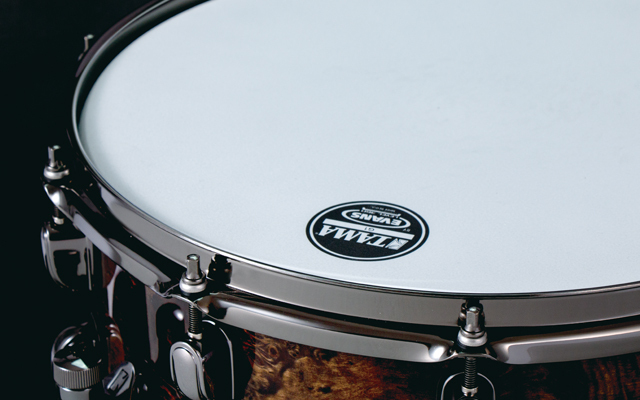 The 6”x 14” G-Maple snare drum is built on the foundation of a thicker 11mm, 13ply Maple shell that gives it a bright sound, but with a surprising volume and sensitivity. 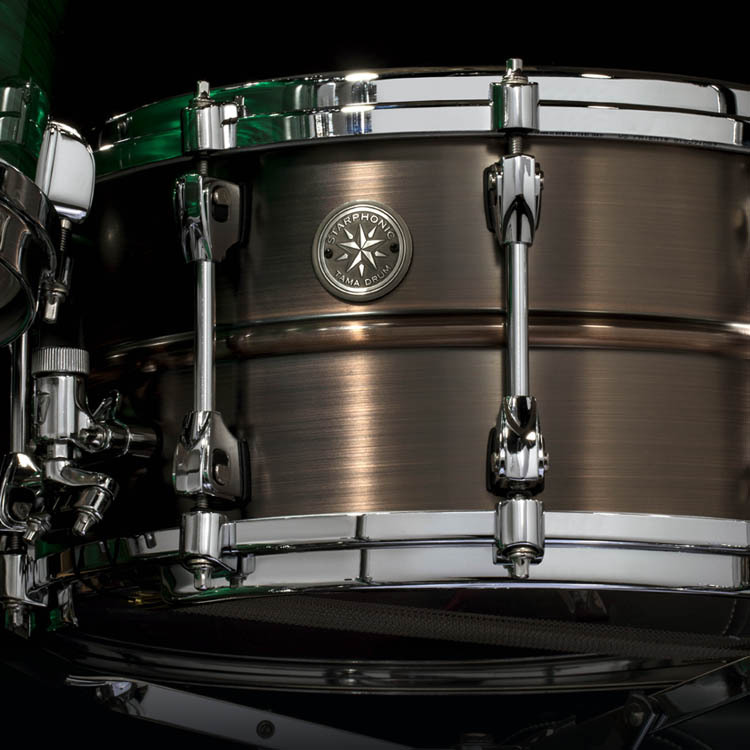 TAMA's triple flanged 2.3mm steel hoops provide a "wetter" sound than die-cast zinc hoops. 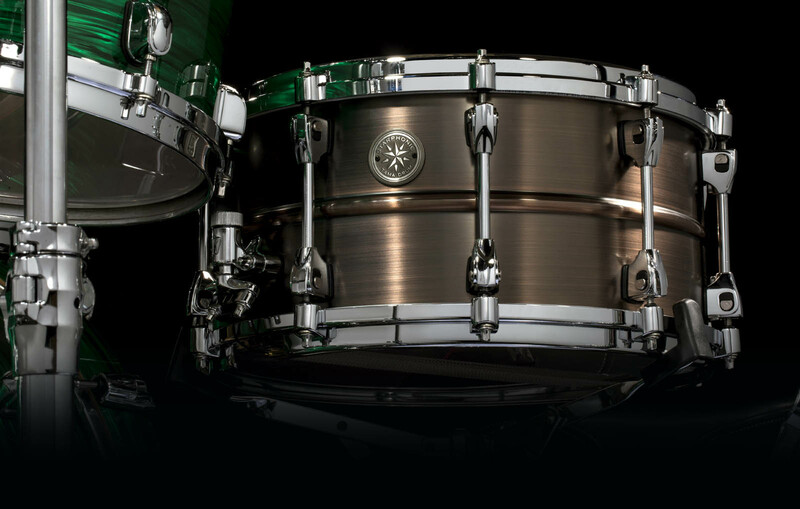 In order to provide a more crisp and sensitive sound, we redesigned our Snare Wires using new materials, customizing the shape of the plate, and changing the wire coils' winding pattern. 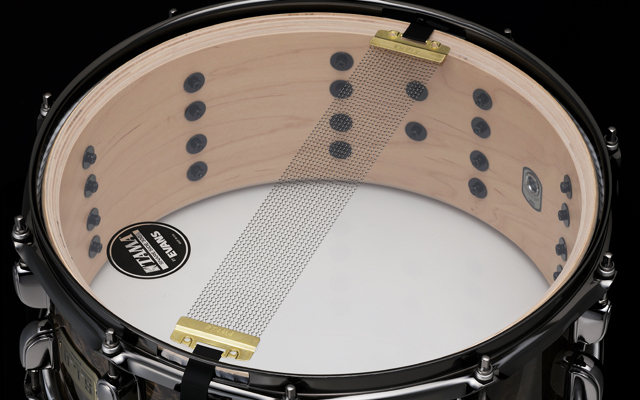 As a result, the "Super Sensitive Hi-Carbon Snare Wire” fits more closely to the snare side head, providing greater sensitivity and brighter, crisper sound.